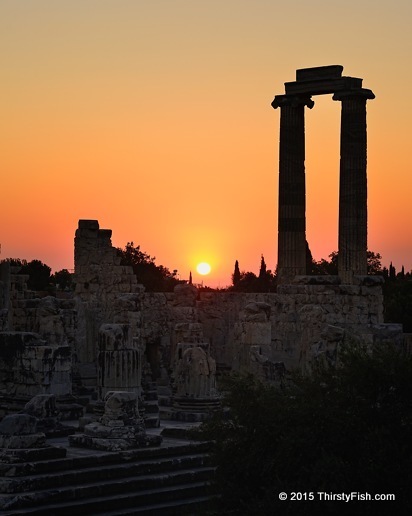 A sunset at the ruins of the Temple and Oracle of Apollo at Didyma. In classical antiquity, an oracle was a person inspired by the Gods, who delivered authoritative and wise pronouncements and made prophecies. After the Diocletianic Persecution of Christians by the Roman Empire, the Oracles at Didyma who supported the persecution were believed to have been killed, and the Temple closed, by Constantine the Great. Constantine is often referred to as the first Christian monarch.